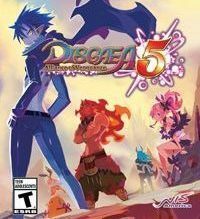 Disgaea 5 Complete is another installment in the strategic/tactical RPG series created and developed by the Japanese studio Nippon Ichi Software since 2003. Disgaea games are characterized by a high dose of fourth-wall breaking humor and frequent references to pop-culture. Disgaea 5 Complete for PS4, SWITCH and PC is another installment of the strategic/tactical RPG series from Nippon Ichi Software. The series began in 2003 with the first game being released on PlayStation 2. The game has its own characteristic formula which won the hearts of many players all around the world. Disgaea games are full of a specific sense of humour that, on many occasions, breaks the so-called fourth wall. The game in topic is filled with pop-culture references and mocks the tropes and clichés from fantasy movies, books, comic books, and anime. Disgaea 5 is the first game of the series that was released on Nintendo Switch. However, developers did not introduce any new features in the game and only slightly improved visuals and some of the gameplay mechanics. The game’s protagonist is Killia, a young demon who wants to release his world form the rule of the powerful lord of the underworld, Void Dark. He controls not only Killia’s world, but also other dimensions and alternate realities. Our hero knows that in order to defeat the dark lord, he must unite all the conquered worlds and dimensions and create a rebel army. To achieve that goal, he goes on a dangerous journey. He will find many unusual allies on his way. In terms of mechanics, Disgaea 5 Complete for PS4, SWITCH and PC remains much the same as the previous games, but some novelties were introduced nonetheless. Most of our time we will spend on three-dimensional battlefields covered with square tiles on which our and our enemies’ characters move. During their turns, each character can move and attak a nearby enemy. We can use different combinations of attacks, spells, and special abilities, and also do combos that deal great amounts of damage. Each character has their own set of skills, moves and their own equipment. We can modify the last one as we play and progress. Developers introduced five new classes and new races of monster and allies. Units are also a new feature. We can now group our characters and give them military ranks. The Revenge System is directly connected with that mechanic. If one member of the unit dies or is badly wounded, the rest of his unit that is nearby gains attack and defense bonuses. Disgaea 5 Complete for PS4, SWITCH and PC has the characteristic style of the previous games. Game maps have more detail to them and higher quality textures (game is natively played in 1080p), but if you are looking for some highly advanced graphical effects, you came to the wrong place. As usual, the game’s soundtrack is of the highest quality. There are many various pieces of music and humorous songs that will accompany us during our adventures.